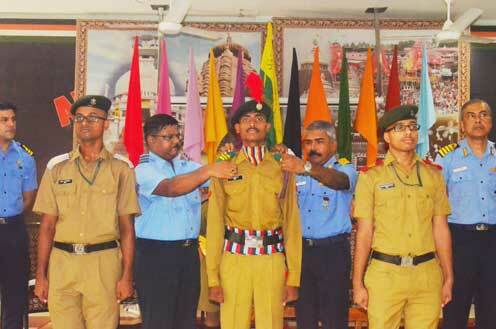 Bhubaneswar: On 6th July the investiture Ceremony of Sainik School was held with great enthusiasm and grandeur in a traditional defence custom. 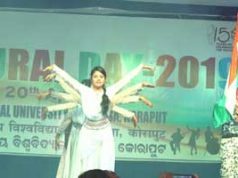 Commodore Shailendra Singh, NSM, a high accomplished fighter pilot, DY GEN NCC ODISHA graced the occasion as Chief Guest. On his arrival a spectacular Guard of Honour was extended by the School Cadets. 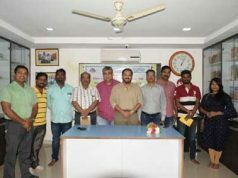 Capt(IN) Kanchan Mukherjee, Principal extended a warm welcome in the presence of Wg Cdr Amitabh Ranjan Vice Principal, Cdr Santhosh Kumar, Administrative Officer and Shri B Pradhan, Senior Master. On this auspicious occasion the Chief Guest awarded ranks to 33 appointments and were given oath who are going to shoulder various responsibilities for new academic session. In his address Cmde Singh exhorted to the Cadets that they should be proud of being an integral part of this glorious alma mater and to be exemplary citizens by imbibing moral values, honesty and high commitments that are missing among the new generation youth. He told them that they are ignorant of their hidden talent. So the timely guidance of their teachers, doing the right things to their satisfaction, reading habits of the life sketches of the great people, self discipline, good character etc. can take them to greater heights. This celebration was witnessed by more than six hundred Cadets, Staff and other distinguished guests. Eventually Mr B Pradhan, Senior Master proposed a vote of thanks.